True story: About 5 years ago, I went through a 50s/60s phase and would only wear vintage dresses. I dyed my hair red and everything (it didn't work, as the black dye from my emo years hadn't grown out so I ended up with an awful red/black ombre thing going on). My grandma recommended some albums and I exclusively listened to music released around 1955-1965. This love of retro rock is still firmly embedded in me, so I adore a good American diner. 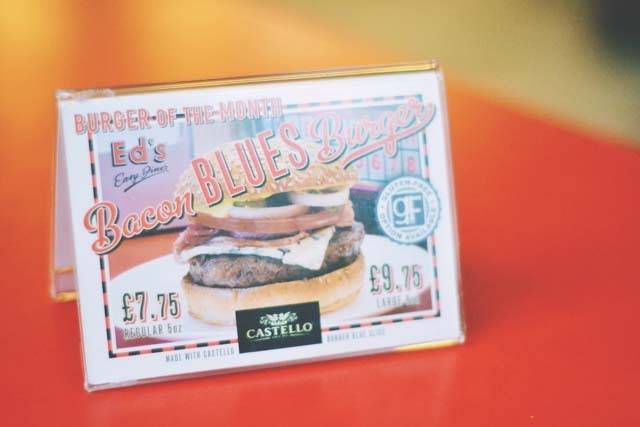 Of course Ed's Easy Diner is the top chain of diners in the UK, so I was already a fan when they contacted me to ask whether I wanted to review their burger of the month. 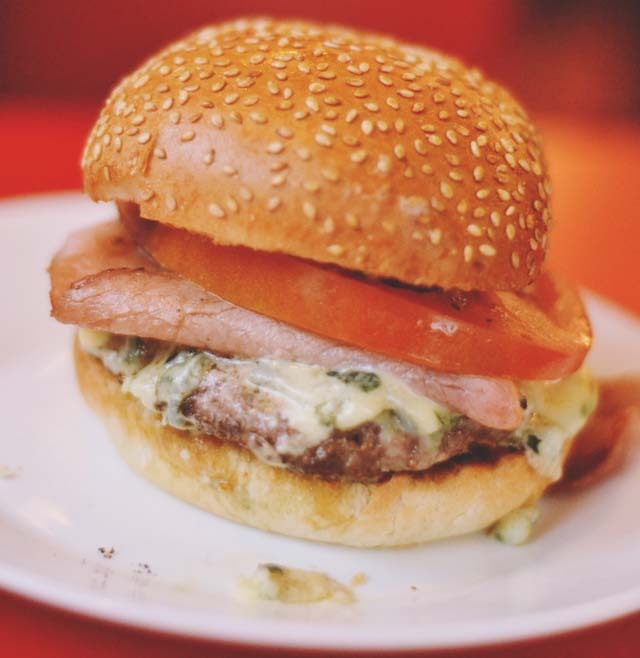 This month's burger is named the Bacon Blues as Ed's have teamed with Castello to create the cheesiest burger ever. Castello's burger blue cheese is the only pre-sliced blue cheese available and has been specially crafted to the perfect size and meltability (totally a word) for burgers. 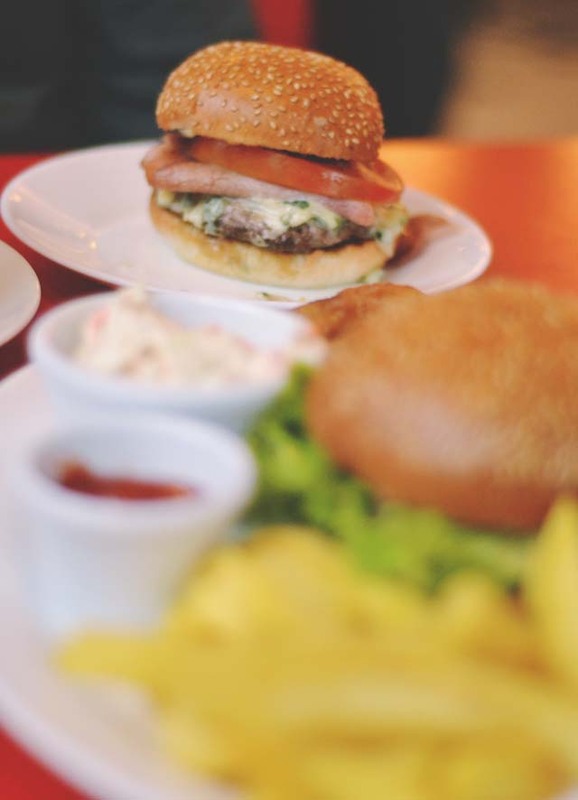 Every Bacon Blues burger is topped with a slice of Castello's creamy Danish blue cheese. 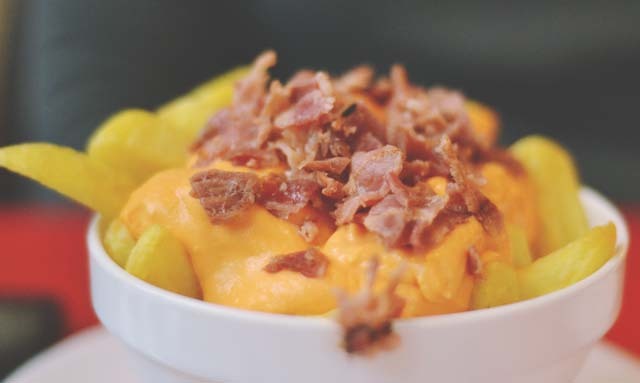 As with all Ed's burgers, you can choose the Ed's Plate (fries and onion rings) or buy sides separately, such as these cheese and bacon fries. Oh, and don't forget to order a milkshake before you leave! The Bacon Blues burger is limited edition, and only available until 2nd August so be sure to get in quick if you want to try it for yourself! Mmm, thanks for making me super hungry at work Becky! We have an Ed's here in Brighton now, might have to pop along to try these fries! That burger looks amazing. I work near an Ed's Diner so I might treat myself one lunch break before this one goes!